Indiana Republican Congressman Todd Rokita recently introduced a resolution condemning the Honorable Minister Louis Farrakhan, the venerable leader of the Nation of Islam, the strongest and most independent organization in America serving the Black community and oppressed people around the world. Rokita—prompted by a cabal of sinister business and political activists primarily, but not exclusively, in the Republican establishment—has promoted a series of actions designed to discredit and demonize the strongest and most potent voice left in the Black community. Rokita’s actions were stimulated by the more than three decades-old false charge of anti-Semitism leveled against Minister Farrakhan since 1984, when he rose to international prominence defending the Rev. Jesse Jackson in his quest to become the nation’s first Black president. Jackson, who himself was labeled an anti-Semite for his position on justice for the Palestinian people, had enlisted Farrakhan to promote his candidacy among the Black masses. Because of Farrakhan’s deeply embedded roots in the Black community, the combination of Jackson and Farrakhan ignited a spark in the Black community that shook the political establishment. At the root of that political firestorm stood the Zionist leadership and their enablers in the ADL, backed by the leaders of the 12 most powerful Jewish organizations of America. Their anger was based on Farrakhan’s statement that not only exposed Israel as a racist settler state, having disenfranchised the Palestinians and sequestered them in a small part of their original homeland, but also revealed the Jewish control of Black politicians, entertainers, and athletes here in America. Congressman Rokita, born in 1970, was at that time (1984), a political neophyte. He knew nothing then, nor does he know now, of the Honorable Minister Farrakhan’s expanding national and global prominence. Today, however, Rokita has emerged as a rightwing conservative Republican mouthpiece for President Trump and the anti-Black Jewish establishment in the “Party of Lincoln.” How ironic it is that Rokita is the mouthpiece for one of the most vile, racist demagogues ever to occupy the Oval Office, a man the Washington Post says has told more than 2,000 lies over the past year. Consider that, according to the Book of Proverbs, God “detests lying lips, but delights in those who tell the truth.” Yet Rokita seeks to pass a congressional resolution condemning a man who never lies, but is vilified for telling the truth and speaking truth to power. Rokita instead gives a pass to a man accused of a variety of sordid behaviors, ignoble activities, and outrageous policies. He has nothing but praise for a president who seemingly lacks morals, character, and ethics. But a man of faith and integrity he demonizes. Rokita’s actions are sparked by the anger expressed by the Zionist community about a 2005 photograph that has recently emerged featuring Minister Farrakhan shaking hands with then-Senator Barak Obama as well as pictures of The Minister hugging members of the Congressional Black Caucus. The Jewish community was so incensed that their anger has exploded across the media world that they control. As a result, the image of Louis Farrakhan has emerged all over the internet, radio, television, and social media. Again, he is being touted as a Black Hitler; the smear campaign against him has been relentless. But the discerning observer, more familiar with The Minister now than they were in 1984, must ask themselves, Why would a little-known congressman from an obscure district in the Midwest be so concerned about the leading Black voice in America? Rokita’s 4th congressional district has a population of almost 730,000 people, of whom only 3.3% are Black. 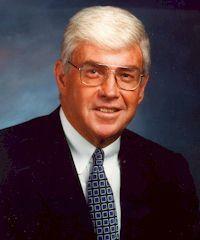 An article written by Jeffrey Blankfort and the words of Ariel Sharon may help put this issue in perspective. Jeffrey Blankfort is a Jewish anti-Zionist radio talk show host, a radio program producer for KZYX in Mendocino, and a journalist. 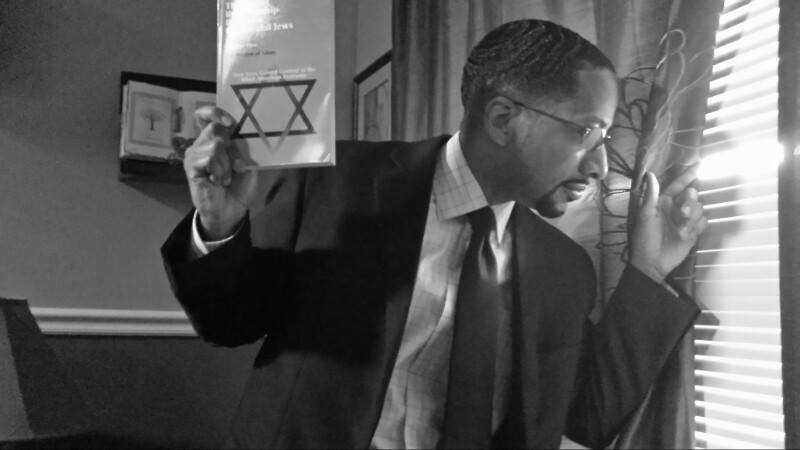 In a lengthy exposé published in CounterPunch magazine on September 5, 2016, Blankfort described how the Zionist lobby controls the entire Black political establishment. The article, titled “Congressional Black Caucus: Deep in the Israel Lobby’s Pocket,” details how the Congressional Black Caucus’s political parameters are controlled by the Jews. Further, on October 3, 2001, the BBC reported Ariel Sharon, the former Minister of Defense and former Prime Minister of Israel, proudly boasted: “ I want to tell you something very clear: Don’t worry about American pressure on Israel. We, the Jewish people control America and the American people know it.” Evidently Congressman Rokita knows it also. Slavishly doing the bidding of his Jewish masters, Rokita is sponsoring a Congressional resolution condemning any politician taking a picture, dining, or talking with his own people in the political arena. Some Jews such as Alan Dershowitz, for example, have become so apoplectic that they have threatened to abandon the Democratic Party if Keith Ellison, a Black Muslim member of Congress, were elected to the chairmanship of the DNC. This corrosive bigotry was applied to Black elected members of Congress for their informal association with Farrakhan—and for just being in the same room with him. That corrosive bigotry, however, does not apply to White politicians and their surrogates. White politicians are given a “mulligan” when it comes to dining, planning, talking, and meeting with the man whose organizing genius resulted in calling four marches in Washington, D.C., where over four million members of the human family gathered together to celebrate their humanity. Members of the orthodox rabbinic community appeared at one of those gatherings and actually bowed to The Minister and later referred to him as the Messiah. However, Rokita and the wily Jews who control him forgot to hold White politicians to the same Farrakhan Litmus Test. 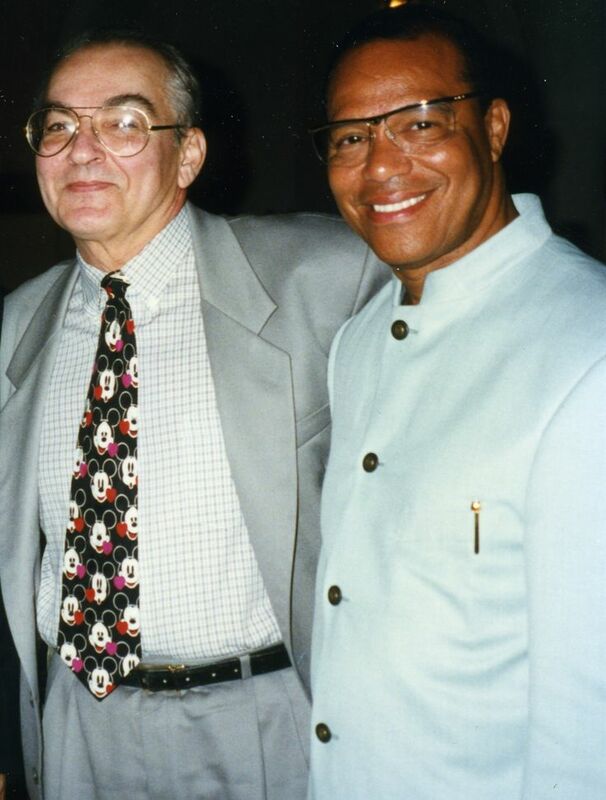 A personal friend of Minister Farrakhan, former associate editor of the Wall Street Journal, the late Jude Wanniski, invited The Minister to speak to the leaders of the Republican Party and Republican opinion-makers at Wanniski’s 13th annual gathering of Republican executives and investors, sponsored by the supply-side consultant at his Polyconomics Conference. The participants of this Republican economics think-tank did not consider Farrakhan an untouchable. Not only did they give him a standing ovation, the assembled leadership took turns shaking his hand and sought private meetings with him as well. The 1997 gathering of the Republican brain trust included Senator John Ashcroft, Representative John Kasich (now Governor of Ohio and potential presidential candidate), the former vice-presidential nominee Jack Kemp, and Robert Novak, noted syndicated columnist, journalist, television personality, author, and conservative political commentator. Among the noted Democrats at the Boca Raton meeting were Senator Chris Dodd and UN Ambassador and former Governor of New Mexico, Bill Richardson; representing the international community was the Chinese Ambassador to the U.S. Li Daoyu. The Republicans were enamored of Farrakhan. In a private meeting I had with Jack Kemp in New York City in 1995, Kemp said of Minister Farrakhan’s Million Man March speech, “I could have given that speech.” Kemp was not the only Republican leader who was enamored with and captivated by Farrakhan. Robert Novak, in an article he wrote in the Washington Post on March 6, 1997, titled “Farrakhan and the GOP,” spoke of the respect then-Rep. John Kasich had for Farrakhan. Speaking of the kind regards The Minister had for Rep. Kasich he wrote, “Kasich was startled when his speech here to a closed-door audience was interrupted several times by standing applause from the Nation of Islam leader. As they shook hands afterward, the congressman was floored by Farrakhan’s kind words.” Novak ended his article by saying, “But if they ever got together, the political landscape would be transformed.” That speech was buffered by an invigorating interview Novak had with Farrakhan on his CNN television program, Evans and Novak. Wanniski reports on his website, Polyconomics, on March 4, 1997, that The Minister spoke for 50 minutes on Saturday morning, and answered questions for another 45 minutes. Wanniski wrote: “The applause he [Farrakhan] received was the most sustained in the history of these events. Of the several Jewish couples in attendance, there was uniform agreement on what I have been advising for the last several months—that he seems a more complex and likeable man than they expected.” After the large group meeting Farrakhan then held small one-on-one meetings with the assembled leaders. Mr. Rokita would be well advised to study the lessons his Republican predecessors learned from their dialogue with The Honorable Minister Louis Farrakhan. The ill-advised methodology he is employing at the behest of The Minister’s detractors will end up as an exercise of fruitless utility. Instead of serving as an obstructionist, Rokita could serve as a broker. He should take the advice of Mr. Wanniski and facilitate a dialogue between The Honorable Minister Farrakhan and the Jewish leadership, or bring The Minister before Congress and let him dialogue with the country’s political leadership and have them talk together as intelligent adults.